Let’s get real: Love is wonderful but also often amorphous, slippery to the hold, shifting in the wind. Love tempered by a mutually agreed upon commitment, however, can be a thing of emotional sustenance. That’s why, at least in part, we revere the commemoration of love. Marking an anniversary milestone with your partner isn’t just another day, it’s an act of love: a reaffirmation of commitment, a way to celebrate the highs and lows of your relationship and everything it took to make it through another year. But let’s get real, again. Anniversaries can be awful. Or at the very least awfully awkward and rife with the same kind of expectations and societal pressures that New Year’s Eve and Valentine’s Day inflict. At least that’s the way they make me feel sometimes when I log onto Facebook or Instagram. If social media is any barometer worth measuring one’s life by, then anniversaries must be staged as a grand affair with big romantic moves that are filtered, hashtagged, posted and shared. The more resulting “likes” the better. It’s intimidating and certainly misses the point of celebrating such a personal, intimate milestone. But it doesn’t have to be that way. Yes, the term “ground rules” sounds pretty unromantic—I get it—but better to plan ahead now then feel bad later. This doesn’t have to be some formal discussion; usually a quick check-in will do. For our last anniversary, for example, I decided to throw out a suggestion to my husband. “No big gifts, okay? Let’s just plan a low-key dinner out.” Sure, this undercuts a sense of spontaneity but it also undercuts disappointment. Relationships take work and even though understanding expectations and anticipating outcomes might feel like practices best suited for the office, they’re actually pretty handy tools for keeping your love on track. If your anniversary aim is to celebrate and strengthen an intimate bond with your partner, then it’s probably a good idea to shut off all those devices and instead focus on one another for awhile. Seems fundamental, but it’s so easy to forget that even checking that text or a quick scroll through Facebook can feel alienating to the person by your side IRL. Since you’ve got the smartphone stashed away, it’ll be that much easier to not document every last second on social media. This is a good thing. Take your finger off the status update button, step away from the filter and resist the urge to hashtag. 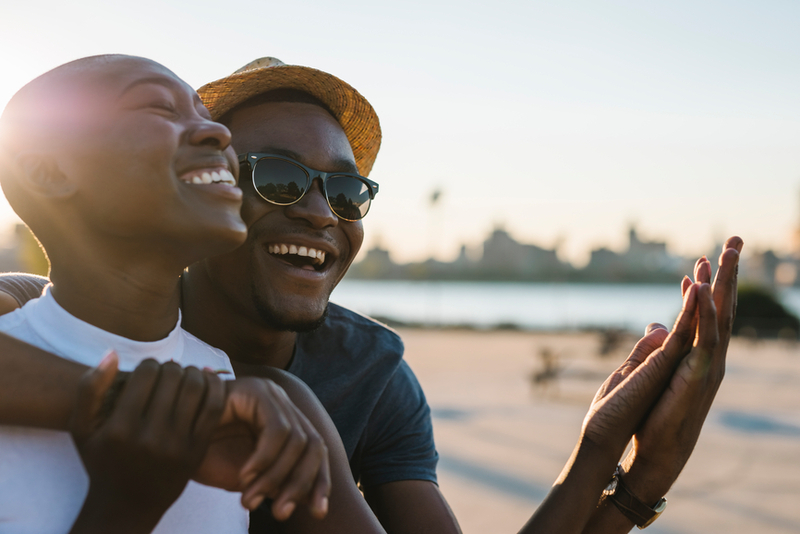 Of course your friends are happy for you, but what message are you really sending when you try to curate a picture-perfect image of your relationship? In 2014, a study published in the Personality and Social Psychology Bulletin suggested a correlation between relationship insecurity and social media over-sharers. It’s worth thinking about next time you rush to take, edit and post that perfect anniversary selfie. This is not to say you should keep the celebration completely off-line but perhaps limit it to one status update and move on. Chances are you—and your social media network—will be happier for it and your relationship might even be healthier, too.